ANNOUNCEMENT: NEW CRIMSON CHRYSANTHS WEBSITE IS CURRENTLY BEING FIXED! I want to make this announcement a little bit more personal so I can thank you guys for supporting me since day one. I was inspired to do blogging and video blogging in 2015 because I did nothing but watch Youtube videos. In 2016, I started to learn more about blogging/vlogging. The first ever blogs I posted was in July 2016. And today, 2017 will come to an end (welcome 2018! Yay!) and I will have my own website! I'm super excited because I might have my own domain, merchandise, etc. I will re-upload and repost all the blog articles I posted here on my new website. 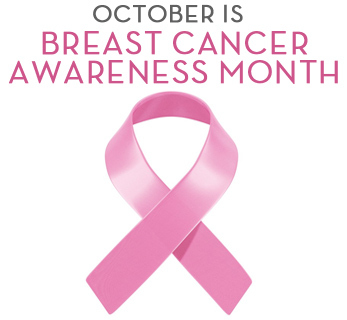 OCTOBER IS BREAST CANCER AWARENESS MONTH, which is an annual campaign to increase the awareness of this disease. WHAT IS BREAST CANCER? Breast cancer is a group of cancer cells (malignant tumor) that starts in the cell of the breast. Cancer grows when cell's DNA is damaged. "HOW" and "WHY" is a cell's DNA gets damaged is still unknown. All people, whether male or female, are born with some breast cells and tissue that have the possibility to develop into cancer. However, breast cancer in men is rare, with only about 2,190 diagnosed each year. The sooner breast cancer gets diagnosed, the better your odds of getting a successful treatment for it. Now, how do we "self-exams"? So, this post would be more on a review of products side and why do I love them (since they are in my skincare routine). [Thank you Farmer] True Water Deep Serum review! I got this one recently and let us get straight to the point—I have no regrets. The night before using this product, my skin was so dull and dehydrated. It gets so tired from all the works and stress I've been up to. Then the morning after I woke up, my skin looks so moist (not in a sticky way), hydrated and replenished. I would definitely keep on using this product until it empties out! Would even buy another bottle. True Water Deep Serum is also an anti-wrinkle product. If you have been following my social media accounts, you know that I always say that you should apply on anti-wrinkle products as early as now because once you already have wrinkles, even though you used all the anti-wrinkle products in the world, it will not go away. The only solution is, of course, injections. The product comes with a pump. I like that kind of packaging because it promotes cleanliness and avoids contamination. Hello, guys! I am super excited for my upcoming #MinimalismGiveAwayContest! I will be going to post the mechanics and T&C’s on that giveaway post itself so you don’t have to read this. But this post will help you understand the purpose of my #MinimalismGiveAwayContest and what it is all about. I got this collagen cream from Pepe and Ko and it retails for 80 dirhams. It’s pretty pricey for me knowing that I am only a student and at the same time there are a lot of good moisturizers out there that retails for only 25-50 dirhams. So, this product must better work! Understanding the importance of your skin barrier is essential for you to have a healthy skin. WHAT IS SKIN BARRIER? The skin barrier, also known as permeability barrier; moisture barrier; or lipid barrier, is the outermost layer of our skin's surface that consists of cells and lipids (fats). Skin barrier is responsible to make sure moisture does not evaporate from our skin. It also serves as a protective shield against pollution, harmful microorganisms, etc by producing antimicrobial peptides and proteins. When we take care of our skin barrier, our complexion appears smooth, clear, even-toned and balanced. Hence, it explains if you are experiencing redness, irritation, breakouts, rashes, etc that your skin barrier is damaged.